Despite the influence he wielded on the people, Gandhi was not part of the government. His relationship with industrialists needs to be seen very differently than that of a government functionary or authority. The recent statement by Prime Minister Narendra Modi where he refers to the relationship Mahatma Gandhi shared with G.D. Birla has brought forth a series of questions. For example, M.K. Venu, writing for The Wire, has raised the following question: “Would Gandhi have endorsed the use of violence on the people by the state apparatus to bulldoze a mining project by G.D. Birla?” Rajni Bakshi, writing for Firstpost, talks about Gandhi’s wish that industrialists adopt the principle of ‘sadhan shudhhi’ (fair means) and that their trade does not exploit daridranarayan (poor). I believe that these questions about the nature and extent of Gandhi’s association with industrialists need a closer look. It is important to clarify that I don’t think Gandhi’s association with industrialists can be compared with the prime minister’s. For one, in spite of the influence he had on the party and the people, Gandhi was not in the government, nor did he hold any position of power. Such an association needs to be seen very differently than that of a government functionary or authority. Besides, Gandhi saw problems with business houses as they functioned then, wished for their hriday parivartan (change of heart) and advocated the principle of trusteeship. 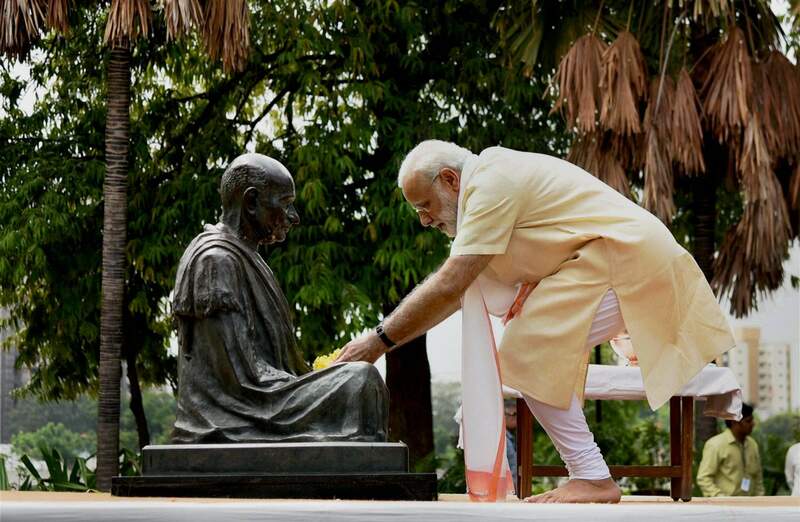 He also fasted in support of the textile mill workers’ strike in Ahmedabad. There can be no denying that some of the top industrialists of the country not only provided funds to Gandhi, but some among them were also his friends, advisors and colleagues. It is important to note that Gandhi continued to maintain close relations with, and get support from even those industrialists whose ‘sadhan shudhhi’ was under question. Gandhi’s relationship with two industrial houses – the Tatas and the Birlas – provides an insight. Gandhiji maintained relations with the Tatas even after the powerful resistance in the early twenties in the form of Mulshi satyagraha against a large dam being built by the Tatas near Pune. The repression faced by the satyagrahis at the behest of the Tatas is well documented in the book Mulshi Satyagraha by Rajendra Vohra. There are other records of strikes by workers in Tata factories since 1920 onwards. Gandhi was also close to G.D. Birla. Ved Mehta writes in his book, “Ghanshyam Das Birla, benefactor and follower of Gandhi for thirty – two years, gave more money for his causes than anyone else”. However, their relationship was not limited to fundraising. Birla was the founding president of the Harijan Sevak Sangh in 1932 and remained so till 1959. Gandhi spent his last days at the Birla house and was shot there. The extensive diaries maintained by Mahadev Desai also confirm beyond doubt that Gandhi and Birla shared a special relation. To conclude, Gandhi was close to even those industrialists whose practises were under question. The growing closeness of one section of the Congress party and the elite class ultimately led to the formation of the Congress Socialist party within the Congress in the thirties and later the separation of the Socialists and those with left leanings from the party altogether. This history, although less known is well documented. It is important to note that there were questions about and even protests against the industrial houses Gandhi was associated with. In today’s context, with increasing centralisation of wealth in the hands of a few corporate houses and the principle of trusteeship never having taken roots, these questions are sharper and protests stronger. Therefore Modi’s defence of closeness to corporate houses as the PM of the country has to be viewed in this context when he simplistically referred to Birla and Gandhi. 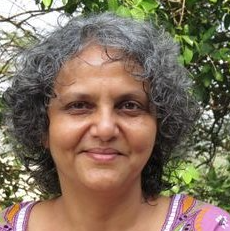 Nandini Oza was an activist with the Narmada Bachao Andolan. A researcher and writer, her books have been published both in English and Marathi.